IS YOUR HOME SAFE FROM THESE INVISIBLE INVADERS? They say that your home is your castle. And for most of us, it’s an impenetrable fortress where anything that could cause harm to us or our families is left at the door. We spend a fortune on prudent home security. Installing smart locks and burglar alarms to ensure that ill intentioned thieves have no possible means of ingress. We make sure that our homes are also impenetrable by smaller and less malignant but no less harmful invaders like rats, mice and bugs. We have an intercom or smart doorbell to make sure that we can clearly see anyone who attempts to get into our home through the front door. (Or just waste our time asking us how happy we are with our double glazing). Yup, for most of us, the home is more than just a castle. It’s a safe sanctuary where your family can relax and enjoy one another’s company without fear of harm from outside invaders. A red brick chimney can lend any living room a beautiful warm, cozy and rustic centerpiece. But it also makes your home vulnerable to an invisible but potentially harmful collection of gases. Over time deposits can build up in the chimney flue which can lead to the seepage of nitrogen, carbon dioxide, carbon monoxide (more on that later) and water vapor into the air in your home. It’s imperative that you have a chimney sweep maintain your chimney to ensure that it’s safe from harmful contaminants. It’s also worth getting them to take a look at your dryer vent as these can also allow toxins and allergens into your home. EMF or Electromagnetic Frequency is an invisible surge of energy that accompanies the use of electronic devices. Depending on their specific frequencies they can be benign but they may also be harmful when allowed to reach certain levels. In today’s technologically fecund times, the average household boasts a whole host of electronic devices. And you may be surprised at how many of them emit EMF. Everything from wireless routers to cooking appliances can emit these potentially harmful waves. In many homes, the EMF levels are actually highest in the kitchen. Although some people are more sensitive to EMF than others. Prolonged exposure from a range of sources can lead to a varied range of health defects from headaches and nausea to anxiety and depression. Or even a loss of libido. Most of us are familiar with “the silent killer”. Yet this odorless and tasteless gas is still the cause of 400 deaths per year. Symptoms of carbon monoxide poisoning take some time to present themselves. By the time they do, it’s usually already quite serious. In its early stages carbon monoxide poisoning presents as flu like symptoms but can even be fatal if left untreated. It tends to occur when organic fuels like kerosene or tobacco are burned in a poorly ventilated area. Therefore, wherever there’s a flame in the home, there must always be ventilation. 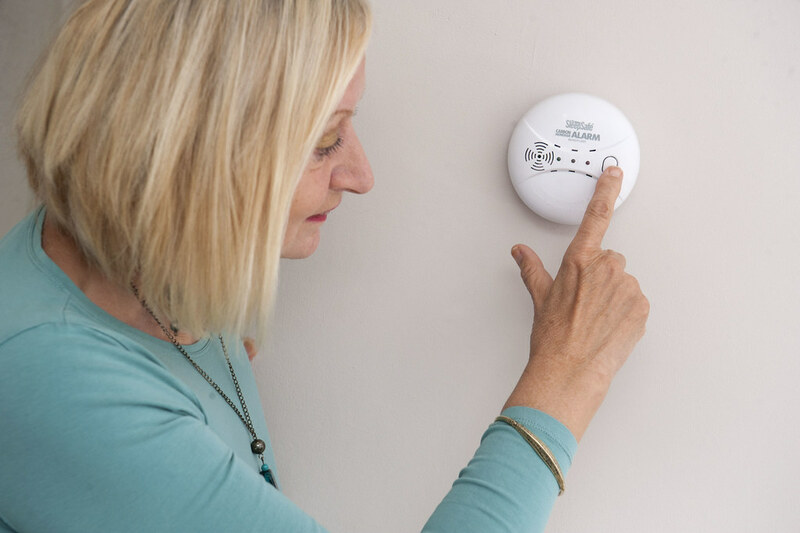 A carbon monoxide detector is cheap and easy to install… But it could also save your life. RELATED: IS YOUR HOME KILLING YOU? Next Post THESE PROBLEMS SHOULDN’T STOP YOU FROM BUYING YOUR DREAM PROPERTY. HERE’S WHY?